BEIJING, CHINA / ACCESSWIRE / December 28, 2018 / Over the pass two years, the blockchain industry is growing rapidly. As the first application of blockchain technology, cryptocurrency has also attracted investors’ attention. Many investors have turned their attention to cryptocurrency. According to relevant statistics, the number of crypto investors around the world has exceeded 20 million. Although it is not as popular as some traditional investment instruments, its development speed is dramatic. Many investors may encounter such a situation during the investment on cryptocurrency: the account has already been heavily stocked with a very promising potential cryptocurrency, but the price of the cryptocurrency has reached the expectation yet, but the investor is urgent to use money. Therefore, ‘EVA cryptocurrency mortgage platform’ released, providing a convenient way for investors to make mortgage loans. From the customers’ point of view, EVA provides crypto-asset holders with comprehensive multi-currency mortgages, various maturities, reasonable pledge ratios, and low interest rates. At the same time, EVA mortgage loan investment channels are rich and diverse including both long-term and short-term investment; this way can give investors a diverse experience. Investors should have some understanding. Many crypto-exchanges in the market also have mortgage services, but most exchanges are conducted in the form of cryptocurrency collateral, that is, the cryptocurrency invested by investors. As a mortgage, this method can only be traded in the cryptocurrency market. The converted currency can only be traded in a single market, and the use of funds is relatively narrow and easy to be restricted. The difference between the EVA platform and the currency in the hands of the user can be directly exchanged for RMB in addition to the mortgage of the cryptocurrency. After getting the RMB, you can go to some OTC investment platforms to make investments, not to bundle investor funds, and let the funds flow flexibly. As the growing of demand for personal financial services, it is necessary to choose a trustworthy formal platform among the various financial service platforms. Focusing on EVA in the field of digital currency mortgage loans, the core teams are all from the global technology finance field. They have top-notch asset management capabilities and intelligent risk management and control capabilities, which can provide professional and safe services. EVA’s short-term control panel for individual investors In-depth exploration, starting from the roots, strict control of all aspects of digital currency mortgage services, deep integration of industry resources, formed a set of multiple protection system for personal digital currency mortgage security. 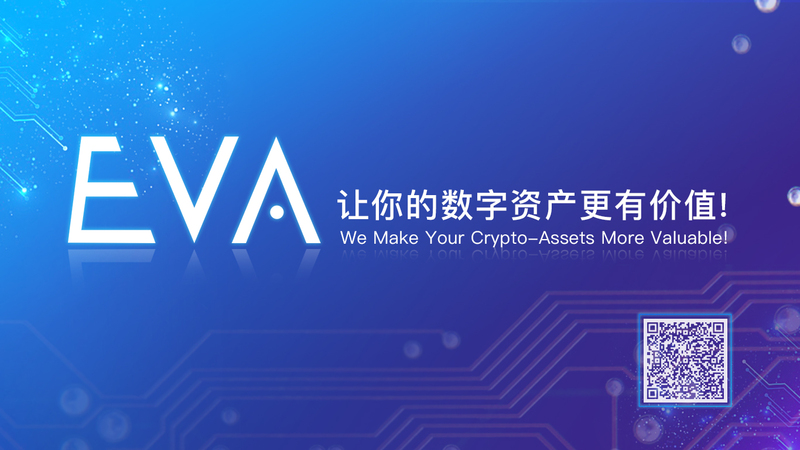 At the same time, EVA has a strong technical team, based on smart contract technology, the flow of asset information, clear and transparent, reinforces the safe and reliable performance of personal cryptocurrency. In terms of financial security, EVA built a private key wallet account system. When making a loan with EVA, firstly, user need to create their own crypto-wallet; users control their access rights, manage keys and addresses, track balances, and create and deploy contracts to truly realize wallets. The private key user manages it by itself. As a struggler in the field of digital currency mortgage services, EVA provides personal digital currency mortgage lender-oriented services based on its own advantages. For EVA, allowing investors to enjoy digital currency mortgages independently and safely. The service is the vision that has been in the platform since its establishment. The company has always been committed to the most professional and safe digital currency mortgage platform. Early Warning Press Release in Respect of EQ Inc.